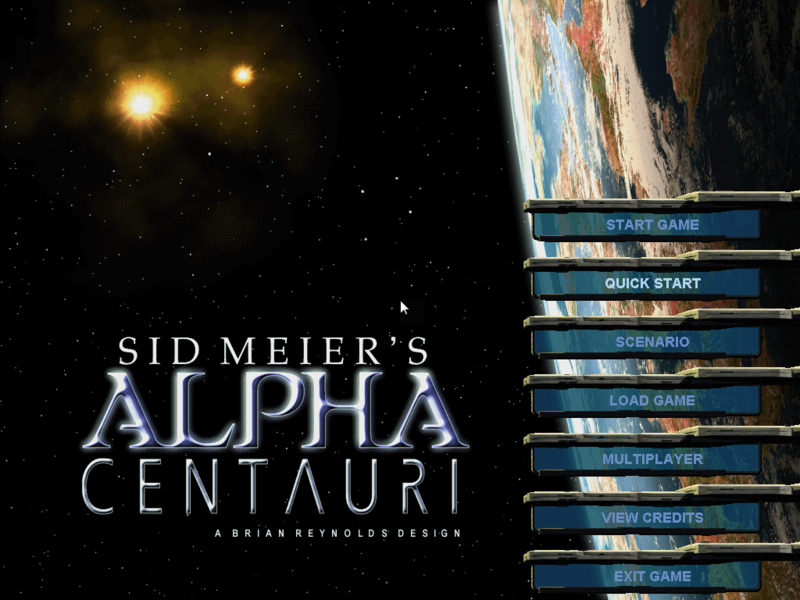 We kick off the new year with a celebration of the games of Sid Meier, starting with Alpha Centauri. Pretty much everyone who's experienced Sid Meier's Civilization can testify to its time-warping powers. That "one more turn" often has a way of stretching early into the following morning. Our own Greg Tito has a tale of it absorbing months of his life away, like some shakespearian witch. 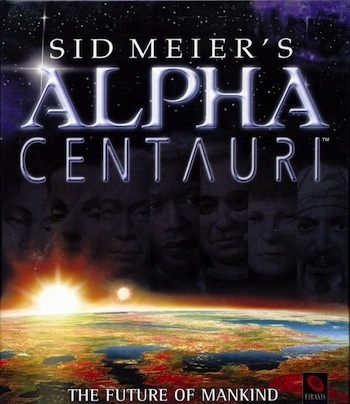 While the older Civ titles are largely obsolete, the sci-fi spin-off, Sid Meier's Alpha Centauri still maintains a loyal following. 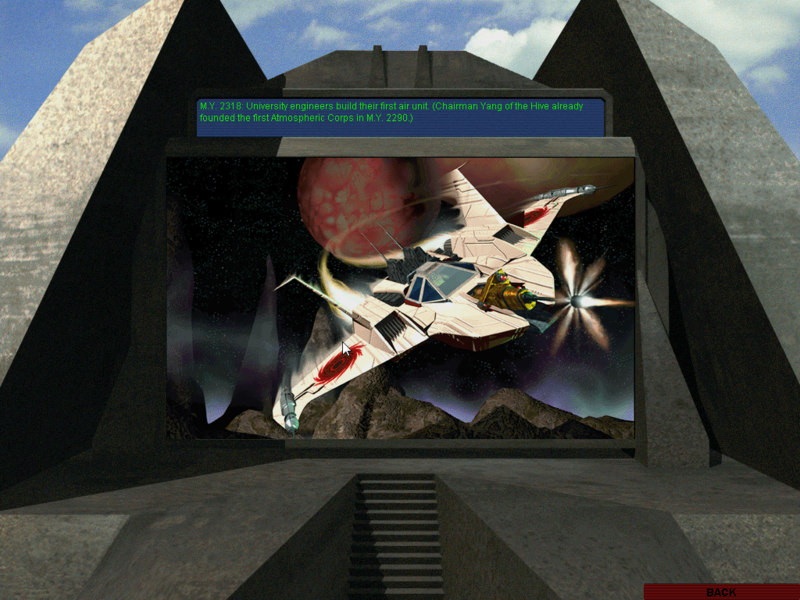 So, I launched it up again to see if it remains playable in the age of widescreen monitors, or if it was just a cult of nostalgia. The morning light of the following day gave me my answer: yes, Alpha Centauri is still the electronic drug you always remembered. It begins with space colonists leaving the Earth, because the planet's always greener on the other side of the Kuiper belt. 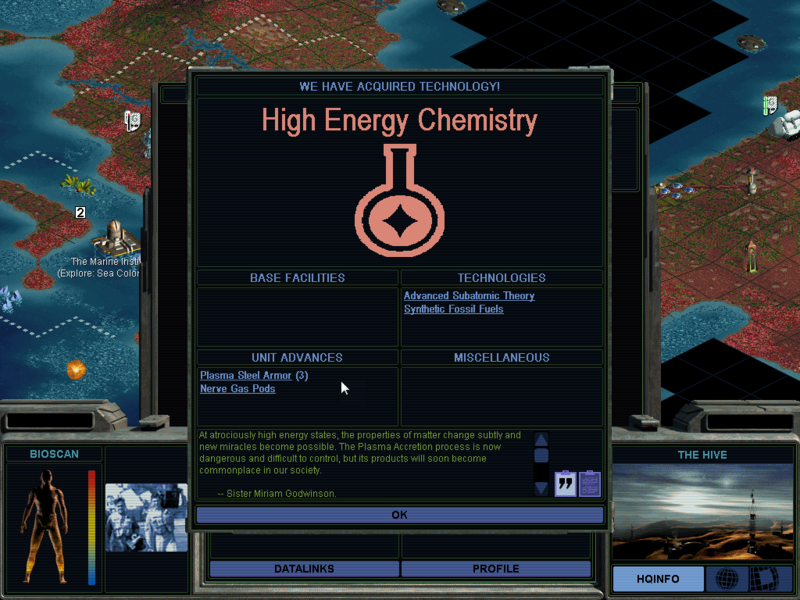 After an unexpected catastrophe, everyone neatly divides according to ideology and decides to fight over a newly-found planet (creatively called "Planet"). That's not just a silly backstory for the back of the box, that's actually a critical element to why Alpha Centauri continues to stand out from every other Civ-like game. 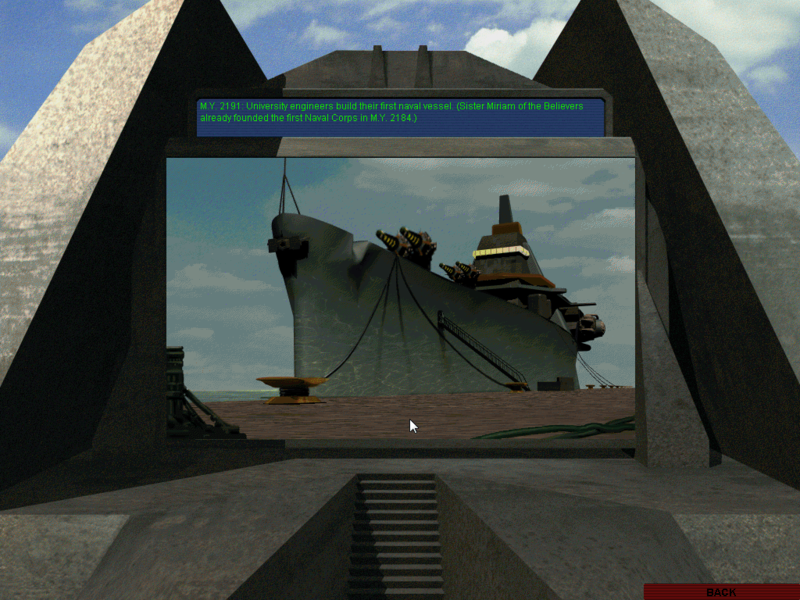 Alpha Centauri is built around the framework of Civilization, and as such, a lot of it looks like a sci-fi re-skin. Wonders are replaced with secret projects, and workers with terraformers. Cities are colonies, while chariots are scout buggies. But make no mistake, Alpha Centauri is its own game. Each unit is a combination of various components that you can rearrange to your hearts content. It's not as frustratingly complex as many 4X games, but it gives you just enough tactical flexibility to tweak units to fit your style. You can stick with the presets, or you can make heavily armored colony pods mounted on speeders. It's only as weird as you make it. Early in the game, you encounter the native Mind Worms, roiling monsters that attack with psionic powers and make the heads of lesser men explode. They spawn from nasty tiles of Xenofungus, which hinder movement, strangle resources, and more importantly, produce more Mind Worms. They might look like re-skinned barbarians, but unlike their primitive Civ brethren, the Mind Worms are with you the entire game. In fact, how you decide to deal with them is one of the most compelling reasons to still play the game today. You see, each faction is divided along ideology. You have the warriors and the peacekeepers, the industrial capitalists and the hive-mind communists. 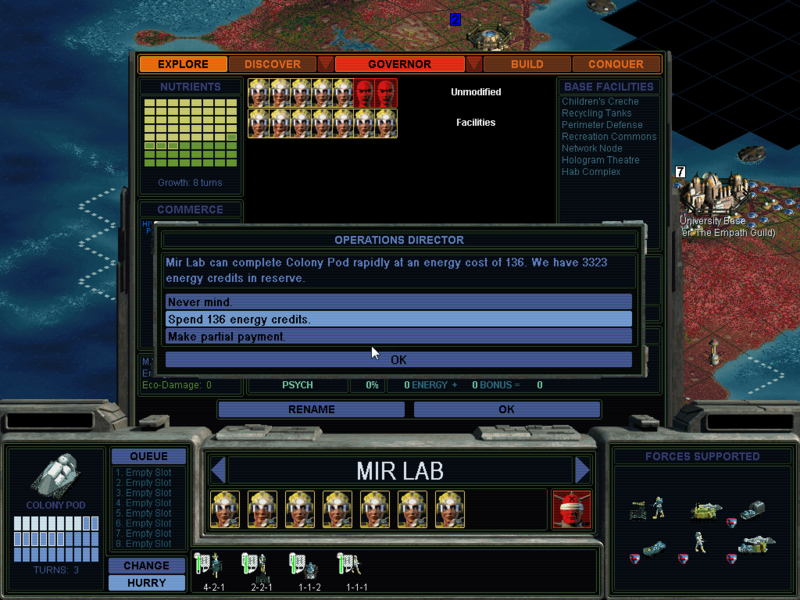 Those ideologies not only give each faction various inherent bonuses (not unlike the governments in Civ IV), but can also influence the story. That's right, Alpha Centauri actually has something of a real storyline revolving around the native life on the planet. At various points, you'll receive text-based interludes describing your leader and his various struggles with the Mind Worms. The planet treats the colonists as an invasive species, one that is utterly alien to its integrated, psionic environment. As a world leader, you can either eradicate the natives, merge with them, or just ignore them; it's up to you. It's a clever design choice that makes you think about the game as more than just a fancy spreadsheet. 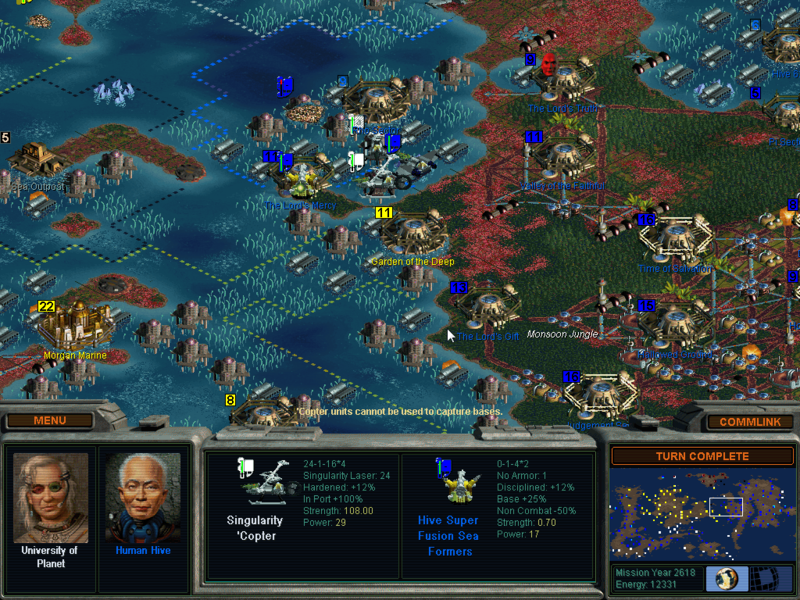 I had a really easy time getting back into SMAC, but it might not be quite as smooth to the palate for those weaned on later Civ titles. The interface is large and bulky by modern standards, and many important features are hidden away behind menus. 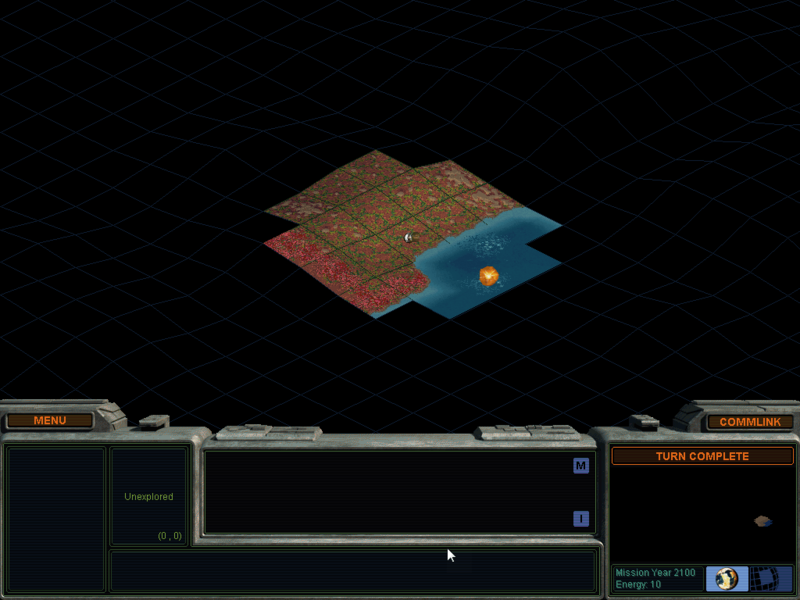 For example, common actions like automating a scout or terraformer can't be found under the right click menu, but rather require you to click the main menu button and dive a few levels deep. It's only an initial annoyance until you learn the hotkeys, but it does remind you how far games have come, interface-wise. 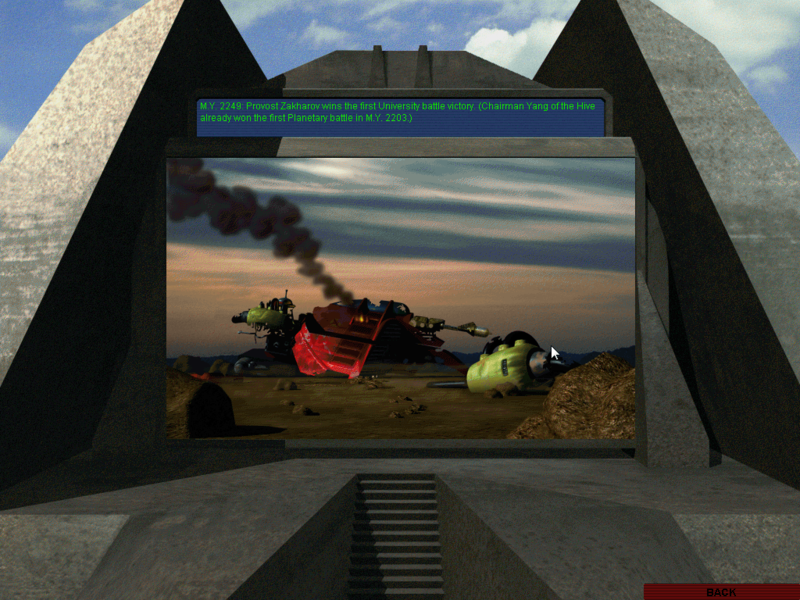 As with so many time-honored games, Alpha Centauri sold poorly in its day. While there are plenty of mods that seek to recapture the magic inside the modern confines of newer engines, nothing ever quite matches up. And that's ok, because Alpha Centauri is still playable. It still has a unique flavor that is unlike anything else. 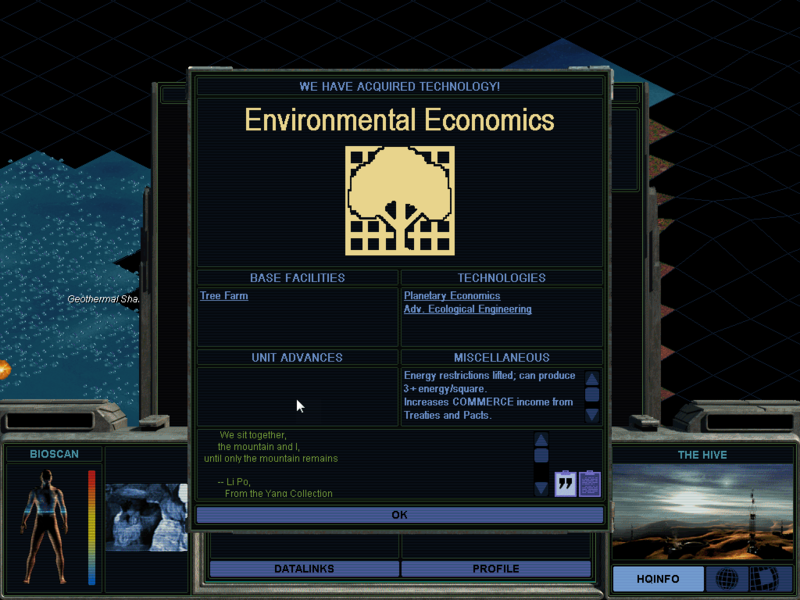 If you've ever lost an evening (or morning) to Civilization, Alpha Centauri is well worth the $5.99 price on GoG. Come back next Saturday where we'll be continuing Sid Meier month with another game that we can't really talk about just yet.